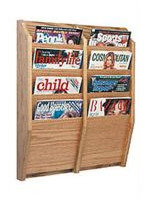 This medium oak wall file organizer is equipped with (8) pockets for reading material. 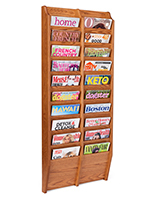 This mounting system looks beautiful in any professional environment where clients are being served. 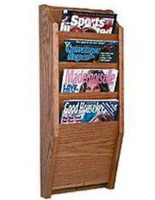 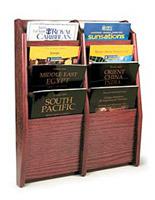 This medium oak wall file organizer that is designed with (8) pockets to dispense business and promotional pamphlets and publications. 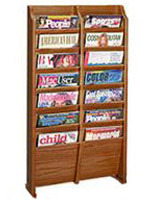 Mount this fixture on a wall in a hospital waiting room, or professional reception area. 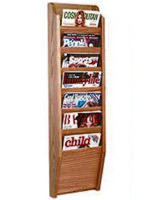 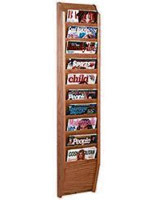 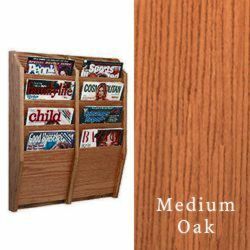 Each of these medium oak wall file organizers, such as magazine holders, accommodates a letter-size set of documents or catalogs.